If you have sensitive skin you have likely fought a lifelong battle with cleansers. From harsh exfoliants to overly drying and irritating formulas, finding something you can use twice (yes, twice) a day without inducing a flare up, isn’t as easy as you maybe once thought. What we've learnt from our time in beauty, is that what isn't in a formula is often as important as what is in it, so from creams, to balms, to the humble micellar water, we’ve rounded up our favourite formulas to ensure your skin is squeaky clean, without the drama. Hailing from France, Avène’s thermal spring water skin care was one of the first to cater for sensitive skin types. One of the most trusted brands in the category - this ‘extremely gentle cleanser’ is just that - super soothing and free of potential irritants, it manages to remove all grime and leave your skin soft and clean. Find out more here. A gel/cream combination that is pH balanced and non-foaming, Dermalogica have sensitive skin covered. Working to calm and cool redness and heat while it cleanses. Find out more here. As a non-rinse, non-fragranced product micellar waters as a general rule are a great way to remove makeup for those with sensitive skin. This one in particular is a holy-grail product to those in the know (I, personally use it religiously), being gentle on the skin while removing even the heaviest of eye makeup. Find out more here. This baby may be north of the hundred dollar mark but hear me out - it was created by Arabella Preston, makeup artist to Kate Middleton and former beauty editor, so we can assume she knows a thing or two about making effective beauty products. And what’s more important about this cleansing oil than what’s in it - is what’s not...which is a lot. No preservatives, parabens, sulfates or artificial fragrances, just to name a few, making it suitable for all skin types, especially sensitive. This cleanser has been passed down through generations for good reason. With no fragrance or soap it is super gentle and cleanses skin without drying it out. It’s even gentle enough for babies. Find out more here. Do you have sensitive skin? What's your go-to cleansing product? I can't recommend dermalogica ultracalming cleanser enough. Truly sensational. The other one (not pictured here) is Avene tolerance cleansing lotion. 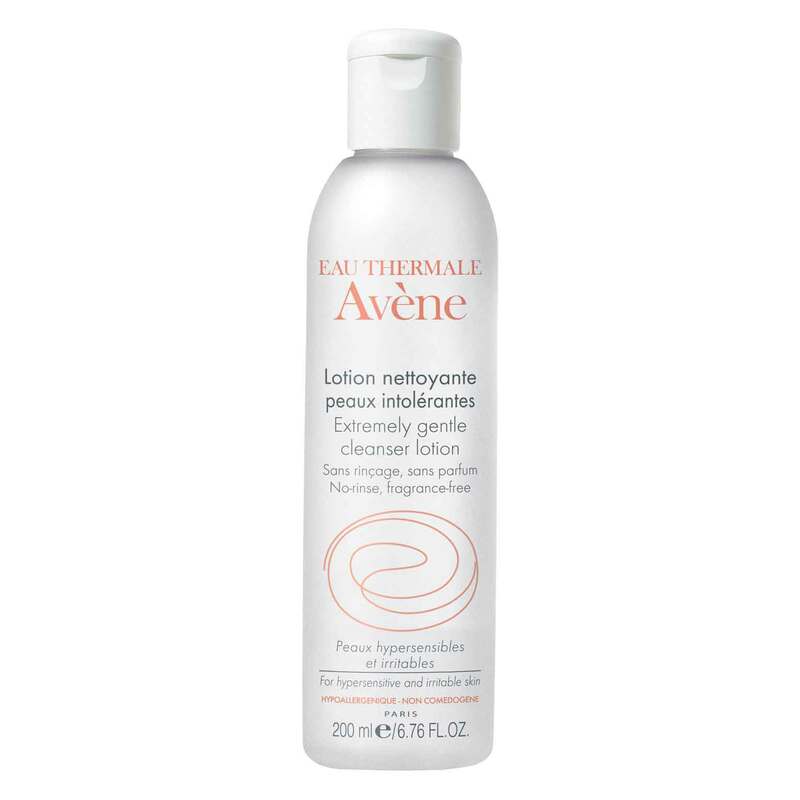 Unlike other Avene cleansers it does not have a atrong fragrance to it and it feels gentle on skin. It does not rinse completely clean however, best to remove with a face washer. I'd like to try the green clean cleansing balm. Love the way the Avene brand has it's base ingredient of a high quality water. Oh that Drunk Elephant jelly cleanser sounds interesting! The standard QV facial cleanser is amazing! I use Sukin for my sensitive skin. I've tried so many products but keep coming back to Cliniques Take The Day Off cleansing oil, gets everything off including waterproof eye makeup and no blurry eyes or stinging. Out of all these products, I've only tried Bioderma (and I'm not that fussed). Not sure why it's a raved product. Doesn't do well with mascara, but everything else is okay (with a bit of effort). Votary, the Balm and drunk elephant cleansers are on y wish list. I tried two of the Drunk Elephant bar cleansers and rather enjoyed them. I recommend going for their travel kit with a bunch of their minis. It sells for around $100 but you get two cleansers (one of them is exfoliating), a serum for day and one for night, a facial oil, an eye gel and an all-rounder moisturiser. It all comes in a pouch. I took it for my cruise. Winner. My partner has sensitive skin so very helpful thank you! Love Bioderma and dermalogica. The Balm cleansing melt away makeup product looks interesting. Im sure there is more as well. .
avene is such a great range of products- they are just so good ! id like to try some of these others too! I would love to try Votary cleanser, and the Balm by farmacy. I’ve tried a few of these and liked them, but at the moment I’m obsessed with the Jurlique cleansing oil. Essano creme cleanser should definitely be here! I've tried the Bioderma one on my skin & it's ok but not with removing make-up yet. The Cetaphil one I've tried year's a go & made my skin worse so definitely no to this one. I wouldn't mind giving a go the other product's although I do have product's in place in this department that aren't on this list that work fine for me I'd still like to try other's also. Have never tried any of these products. My sis has really sensitive skin so I’ll recommend these to her. I've been hooked on Philosophy for a couple of months now and it's amazing on my skin! I think I must be a tough old bird because my skin seems to take to anything with no sensitivity whatsoever. Just lucky, and thankful. That Elephant one has very funky packaging - sounds like it's a great cleanser too. I use sukin sensitive cleansing gel even tho I don't really have sensitive skin but I love it because of how gentle and effective it is. I would definitely consider using cetaphil, I use their moisturising lotion which I absolutely love. Avene, Dermalogica and Bioderma are all fantastic brands and they all do a great job. I can vouch for Dermalogica ultracalming cleanser. When my skin reacted to another product and was red and inflamed and flaky, this cleanser was a life saver. I am so grateful that I dont have sensitive skin, but there are some really good options out there for ladies that do. I'd like to try the green cleansing balm! I don’t have sensitive skin, I’m loving the Simple Cleansing oil, it’s so cheap and very gentle. Cetaphil is great for my sensitive skin. At the moment im in the US and using a brand called Cerave which is a lovely creamy cleanser with no perfume and its lovely in how it cares for my skin.  I'm using a Swisse cream cleanser which I love. 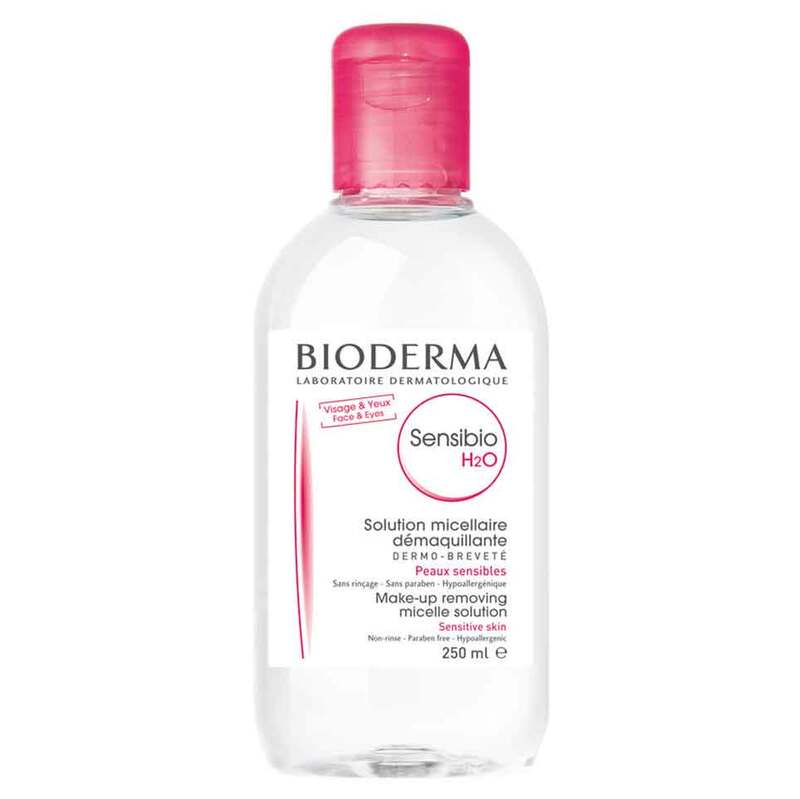 Bioderma is the original micellar water- it is fabulous. Most days with sunscreen application or light makeup, I do a double cleanse using a cleansing oil followed by a gentle cleanser. Bioderma, Avène, Dermalogica and Cetaphil get my vote. I would like to try some of those. I love cleansing balms. I often hear the claim that cleansers are not worth spending big on because they don't stay on your skin long enough to do any good. But cleansers are definitely on your skin long enough to do some harm, so I think they're worth careful consideration. You don't have to spend big to get a good one, but finding the right one is priceless. I haven't used any of these, but the Dermalogica one looks great. I love my Bioderma Micellar Water - sooooo gentle. 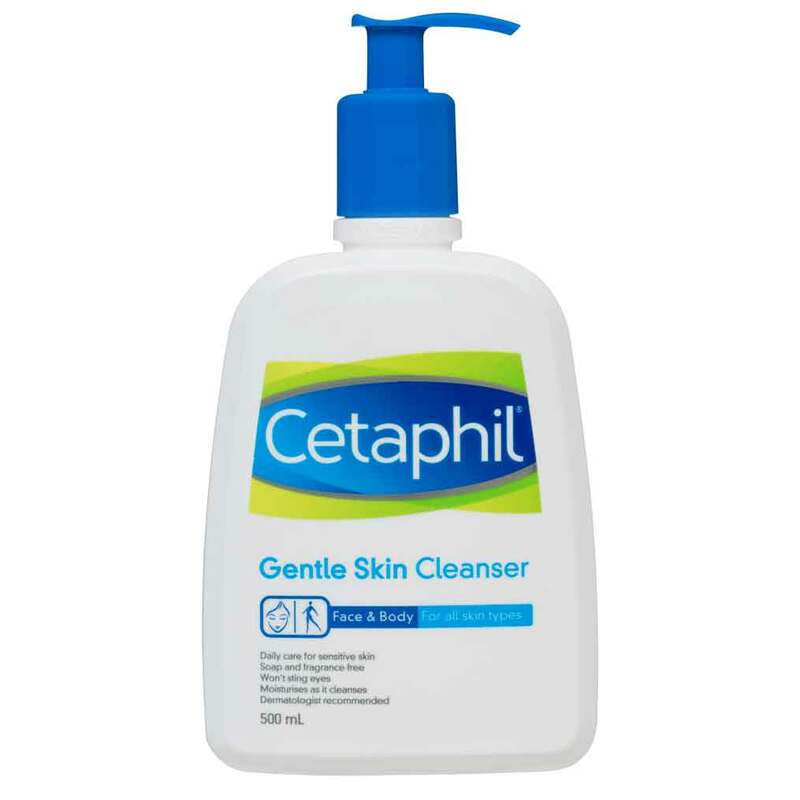 Seriously wanting to try Cetaphil Cleaner because I am currently using their Moisturising Lotion and it is the BEST moisturiser I have EVER used.